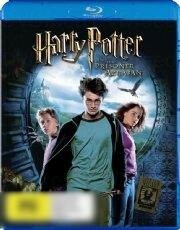 Synopsis: In Harry Potter and the Prisoner of Azkaban, Harry Potter and his friends Ron and Hermione return as teenagers to Hogwart's School of Witchcraft and Wizardry for their third year of study, where they delve into the mystery surrounding an escaped prisoner who seems to pose a dangerous threat to Harry. Disc in excellent condition with hardly any scratches. Case in good condition with very few dents, nothing major to the disc.